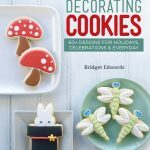 craft book GIVEAWAY! 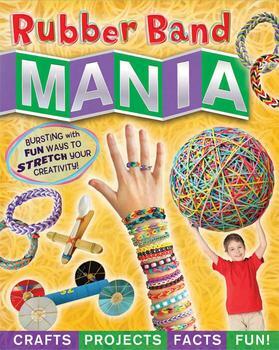 Rubber Band MANIA! 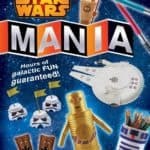 Mania indeed…also, the perfect collision of design, content and craftiness in books about, somehow, rubber bands and duct tape. My friend, Amanda Formaro, who skillfully manages an infinite supply of creative ideas (seriously, where do they all come from? how does she never run dry?) 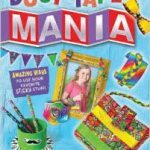 over at Crafts by Amanda, has published her first two craft books for kids ages 6 to 12 in the Mania series: Duct Tape Mania and Rubber Band Mania. More about Duct Tape coming soon. Today I’m all about rubber bands. I have a 7 year old who crafts incessantly, so she ripped open the package and tried to take my books before I had a chance to review them. Nice try, Maeve. Nice try. 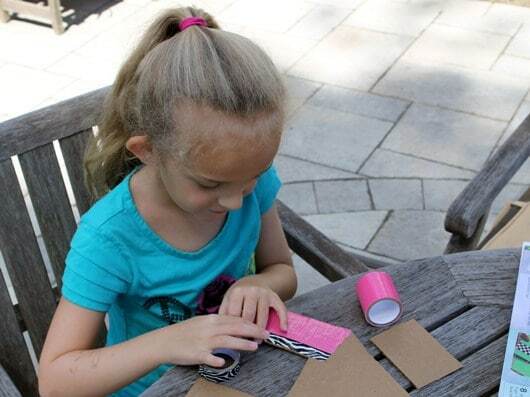 Rubber Band Mania has over 40 rubber band projects, each with clear step-by-steps and photographs that kids can follow on their own or with minimal help. There are also tips and fun facts sprinkled throughout. Did you know the US Postal Service uses millions of pounds of rubber bands a year to help sort mail? I do now. If your kid has discovered the loom like mine, not to worry. The first section of the book honors the craze with bracelets, necklaces, and rings you can make with with your fingers, a fork and even a DIY loom. But there is much more, like organizers and notebooks and luminaries kids can make, or a rubber band car, marshmallow catapult, slingshot and bow and arrow. They can paint and stamp and tie dye with bands or make a harp or guitar or even do magic tricks. My kid has already made the popsicle charm. Two of them. And has promised more for her friends. Next, we made a boat. 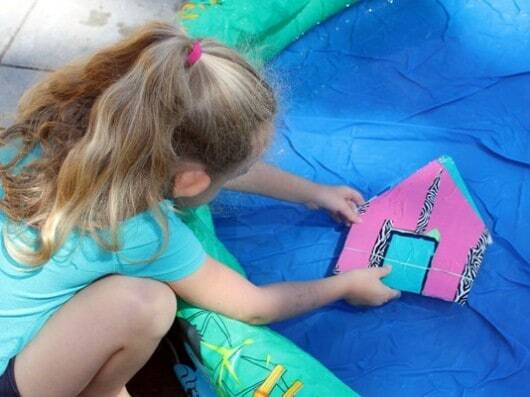 She outfitted the boat with duct tape while I painstakingly blew up our inflatable pool. I’d have rather have had her job. Oh yeah, just relax at the table playing with tape. Don’t mind that woman passed out on the ground behind you. And the boat is ready to launch. Please note the top of the pool is barely inflated. I gave up half way. And I forgot to take video of the boat zooming across the pool. I can make a thousand more boats, but please don’t ask me to re-inflate that pool. Winner has 48 hours to respond after being notified before another winner is notified. Ships to US addresses only. 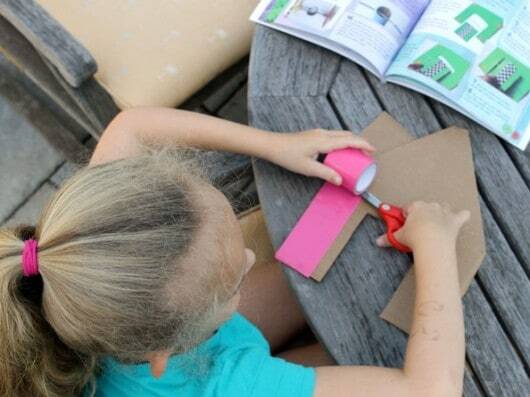 Craft Book Review: Duct Tape Mania! 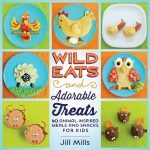 Wild Eats and Adorable Treats Book Review and GIVEAWAY! Call me old-fashioned but I think giving a kid a chance to create something unique is a fabulous way to inspire creativity and confidence. I love electronics and get caught up with my iphone and ipad too, but an afternoon with this book trumps that ANYDAY!! Please enter me for the drawing – what a fun book. I just love the arts and crafts that Amanda does. Creativity is the best thing for a child. WooHoo! I love a giveaway, especially when it’s craft books! Thanks for the chance and good luck everyone! Cool book looks like some great crafts. I always try to cook or do a craft when my Grandkids come over. This book would give us many hours of fun together. Awesome! My daughter world love one of this!!! I do crafts all the time at home & while working with my autistic students, too. who loves to craft and create things. I have an 8 year old daughter and a 5 year old son, we would LOVE this!! Maeve, love the name. It was almost my daughter’s name. I loved it, but my X did not. So we settled on Chloe ☺ Good luck to everyone! My kids would love this book!! Thanks for the chance! I like all the craft things you share. I babysit my grandaughters daily, and really appreciate all the ideas I get from you. Thanks so much. I have 13 year old twin boys and I think they would get a kick out of making things with rubber bands. Thank you for the chance to win this book! My grandchildren would love this !!! I thank you for the opportunity to enter this drawing… my daughter is all about the DIY projects (she even decopauged all of her notebooks for school and duct tapped all her other supplies as well!!) Keep crafting so my daughter and I can continue getting crafty with your projects!! My daughters would love this! Thank you for the opportunity to win! I love to get my niece saga ND nephew’s crafting. We are out of ideas. I would love to win this book of crafts for my grand kids it is some good quality time together. This book would be so much fun for my kids. Lots of crafting kids around here, not to mention their mother 🙂 We would love to add this book to our crafting library.